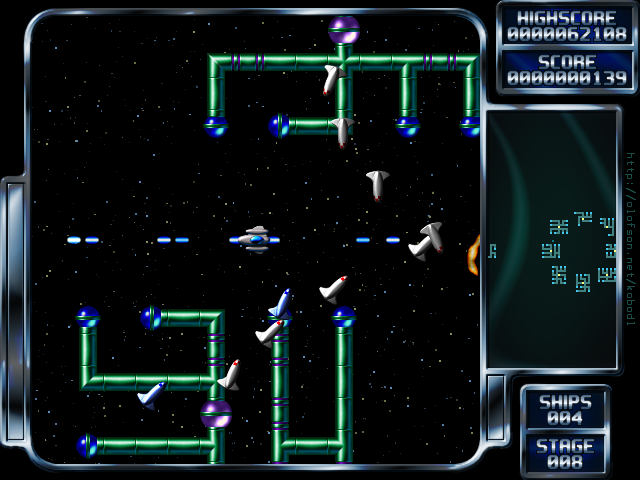 I first discovered Bosconian on one of those ultra-cute Namco "Direct-to-TV" joysticks that were popular at the start of the last decade and it instantly became one of my favourite classic-generation shoot 'em ups. 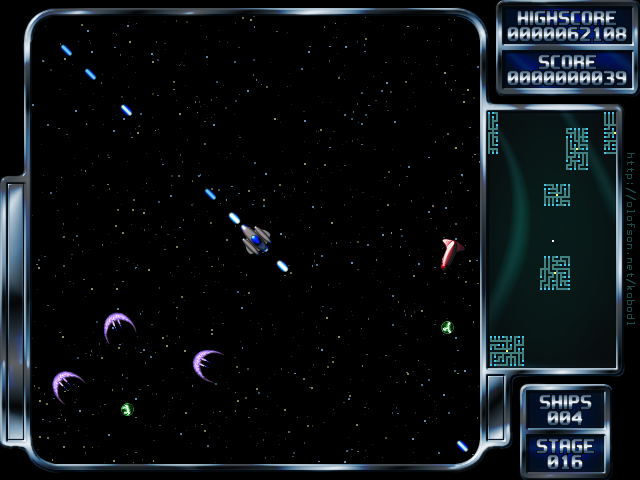 There was something so gratifying about flying freely around 8-directional space, blasting asteroids and enemy fighters and of course obliterating the well-defended alien space stations. I drained several sets of AA batteries whilst 'in the zone' and to this day still prefer the Jakks TV port over the original ROM emulated via MAME (but admittedly that is possibly because the controller itself is so cool). In fact, it was around the point when I debated whether or not to buy an AC adapter for the game that I first read about Kobo Deluxe... a quick download later I was well and truly hooked and the DTV ended up on ebay shortly afterwards. Kobo Deluxe takes everything that made Bosconian great and injects it with a healthy dose of awesomeness. Similar to the classic, your dual-directional firing ship will face asteroids and a variety of enemies (in often ridiculous numbers) - but it's the heavily-defended procedurally generated enemy bases that steal the show. Unlike Bosconian's simple destroy the six outer pods or take out the core stations, Kobo Deluxe's bases range in size from a few cells to multiple screens and are constructed by a series of nodes branching out from the central core via indestructible arms, each ending in a weapon pod that relentlessly launches either bullets, bombs, missiles or enemy ships in your direction. In summary, they're tough bastards to crack. 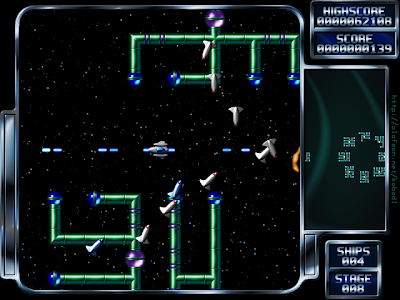 Although the smaller stations can be taken out by a few lucky stray shots, on later levels it is often necessary to blast away defences on the outer branches and navigate through the maze-like superstructure, destroying the base from within - a victory that (for this gamer at least) brings back childhood memories of watching the Millennium Falcon's final strike against the Death Star in Return of the Jedi. But, that's enough reminiscing - let's look at how this aged indie stands up against modern game design. Presentation wise the game is pretty solid, with well-rendered graphics (the asteroids are particularly impressive) and plenty of colour and variation considering the limited scope of the game. 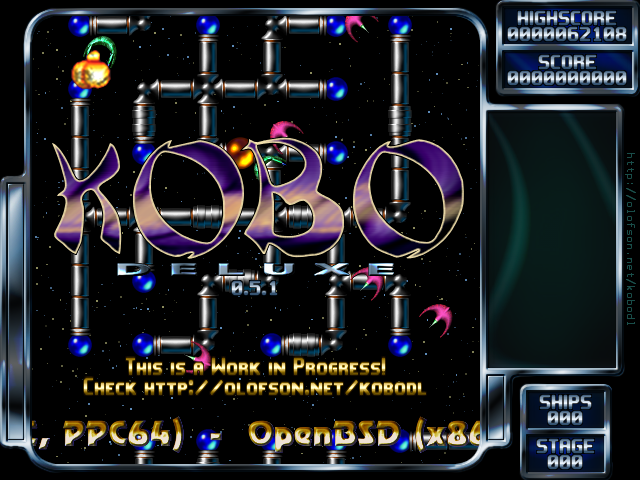 With it's large side mounted HUD and demo-style logo effects Kobo Deluxe could easily been mistaken for a 90's Amiga game - which can either be considered a good or bad thing, depending on your stance when it comes to home computers and consoles. However, despite the sound effects being appropriately arcade-like, the music is disappointingly weak in contrast due to the audio system supporting midi instead of mp3 or tracker modules (which in my opinion would have suited the game far better). Despite being incredibly fun to play, the actual design of the game is questionable in places as well. Kobo Deluxe is deliberately difficult (like the classic coin-ops of the past), but it is often made harder still due to the limited screen size (regardless of what resolution you use) resulting in you being unfairly killed by bullets fired at you from an off-screen attacker. Also, I find it impossible to decide whether or not the 'continue where you last died' level system is a good or bad thing... On one hand it allows any player with a bit of determination to see all 50 levels, but then it also means there is no reward for players who do manage to develop the ninja skill level required to beat the game on one credit. There are also the four different difficulty modes (in addition to classic) to consider, introducing unnecessary features such as shields, cannon overheating and different firing styles to a game that really wasn't designed for them. Thankfully, at least only classic mode scores are used for the high score table. One final issue that I found a little irritating is the joypad support - the game refused to play ball with my 360 controller and there is no in-game calibration or button reconfiguration, regardless of the fact that just about every other facet of the game is open for alteration in the extensive menu system. However, there is hope for improvement; with Kobo II currently in development, David Olofson recently emailed me to advise that he plans to return to Kobo Deluxe to add a few final tweaks and fixes in the near future. Kobo Deluxe isn't a game for everyone, but it has been and remains to be one of my favourite PC shooters. Not that it's limited to the PC platform of course; as an open source SDL project there's a build for just about every operating system out there, including many consoles and handhelds. 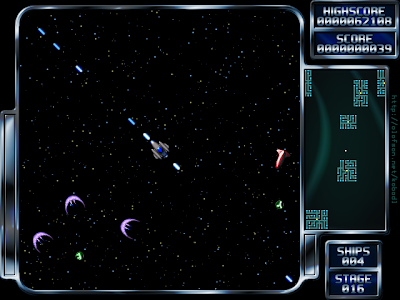 The running requirements are low enough so that the game will run on just about anything (including netbooks) and the timeless gameplay of the classic mode is guaranteed to keep retro enthusiasts happy as they endlessly battle the alien hordes in their effort to shoot the core. Download the game here (from the Kobo Deluxe website).